others a man in a gorilla suit. Let's take a break from the presidential debates and non-stop media coverage of the November 2016 election and deal with a particularly urgent matter — whether or it’s legal or not to hunt for the elusive Bigfoot. Don’t try Bigfoot hunting in California – it could result in your arrest and conviction, according to the California Department of Fish and Wildlife (CDFW). On May 11, 2012, the CDFW issued a statement in response to media reports about a Texas wildlife official proclaiming that bigfoot hunting is legal in the long horn state. In order to take a non-game mammal legally in California, it must be listed in the California Code of Regulations, which Bigfoot is not. If the existence of only one Bigfoot was confirmed, then it could be considered “threatened and endangered” and could potentially be listed as a protected species under the state or federal Endangered Species Acts, according to the agency. “But if a healthy and growing population of Bigfoot was confirmed, a hunting season for the creature might be considered and could potentially be implemented (unless a law is passed that lists it as a specially protected mammal),” the CDFW said. “Despite its massive frame, the legendary Bigfoot seems to be as light on its feet as Fred Astaire in his hoofing prime … and perplexingly adept at blending into its habitat,” the Department quipped. The Texas Parks and Wildlife Commission has a far different approach to Bigfoot hunting regulations. Bigfoot enthusiasts and researchers have been concerned for years that somebody may kill a Bigfoot if and when the species is finally captured, preventing researchers from studying a live specimen of the species. Some regional governments in the Pacific Northwest, where the most Bigfoot sightings have occurred, have passed resolutions and laws to protect the cryptid, also known as Sasquatch. In 1992, Whatcom County, Washington officials approved a resolution declaring the County a “sasquatch protection and refuge area.” This was a “county resolution,” not a new law. In 1969, Skamania County Washington passed an ordinance prohibiting the killing of Bigfoot. In 2007, Mike Lake, a Canadian member of parliament from Edmonton, Alberta, introduced a petition calling Bigfoot to be protected under the Canadian version of the endangered species act. However, these measures are all based on the assumption that Bigfoot is an animal. 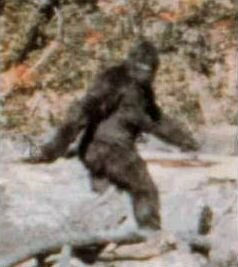 If a Bigfoot is ever captured or its existence is proven, it may turn out that it is actually a species of hominid related to homo sapiens. Anyway, the message is clear from the California Department of Wildlife: don’t kill a Bigfoot if you happen to encounter one while hiking, camping, fishing, hunting or rafting in California. You will not only deprive science of its unique opportunity to study a live Bigfoot, but will face possible jail time and a big fine under the California Fish and Game Code. And if it is determined that Bigfoot is a close relative of homo sapiens, you may face murder charges.